Uses as a skin beautifier etc. Coriander and Pomegranate Raita and many more. Well raw mangoes / kancha amba / kairi are easily available during this time period in India and from childhood I always love to have some slices of raw mangoes sprinkled with red chili powder and salt 😋. Beside this, one can surely enjoy a raita using these raw mangoes as Kairi ka Raita / Raw Mango Raita / Kancha Amba Pachadi. This is a cooling seasonal and tangy curd / yogurt preparation. It will work perfect as a simple accompaniment along with rice dishes like biryani, pulao, or even with roti, naan. Just mix everything and the dish will be ready within few minutes. Completely gluten free and no-onion-no-garlic recipe is this. 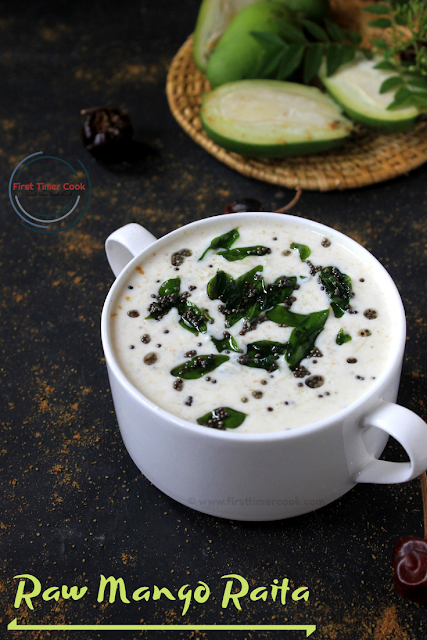 Some more raita recipe from this blog are : Boondi Raita, Coriander and Pomegranate Raita, Sun-dried Raw Mango Raita / Ambula Rai. In a mixing bowl, first beat the fresh curd till a smooth texture. Then add grated mango, roasted cumin powder, finely chopped green chilies, black salt. Mix gently using a spoon and keep aside. In a tadka pan / a small pan heat oil. Add mustard seeds and allow to splutter well. Next add curry leaves and turn off heat. Pour this tempering over the curd mixture and mix. Serve chilled with pulao, paratha, roti, naan or even biryani ! Here I have not added the red chili in tempering. But if desire this can be added too. Some sugar is opted to add if the mangoes are too much tangy. 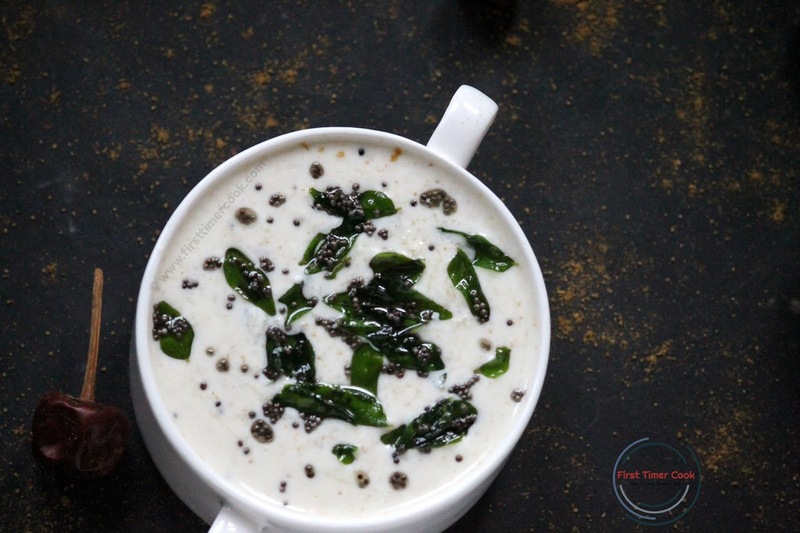 This Kairi ka Raita | Raw Mango Raita | Kancha Amba Pachadi is contributed for 191th theme of the Foodie Monday Blog Hop foodie group which is decided as 'Dahi Delights' and suggested by 'Priya Iyer' who blogs at The world though my eyes. While I adore raw mango, I have never tried pairing it with curd. Now that I see your recipe, I wonder why I didn't do that - the raita looks so cool and refreshing and utterly delicious! Beautiful recipe, just perfect for summer! 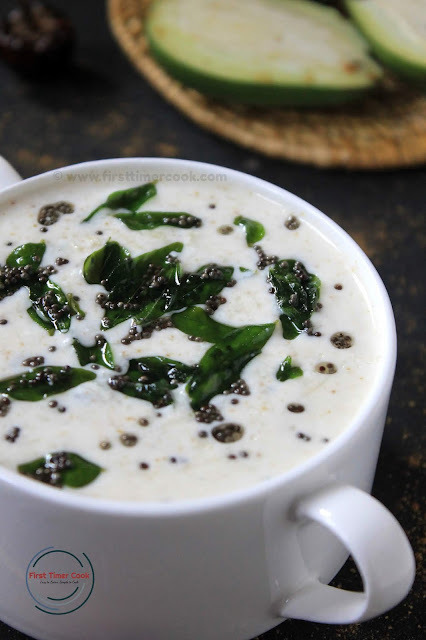 Raita sounds so delicious refreshing and in one word mouthwatering. Never made raita with raw mango. I can imagine the chatpata taste. Superb share. It is a complete new raita recipe for me.. the tart raw mango with the cold curd makes it so refreshing and mouth watering.. all the ingredients that go into this are good to beat the scorching heat!! Raw mango raita is entirely new recipe for me. Sounds lip smacking ! Loved the pics (esp the close up shots) and the entire recipe and set up, Sasmita ! 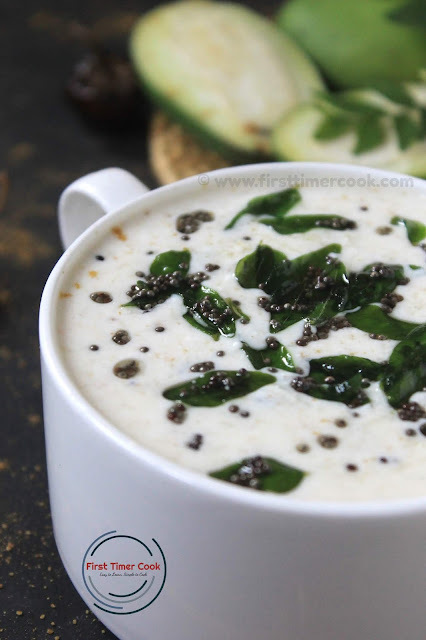 you clearly have an eye for stylign and this raita is a great one to have during summers !